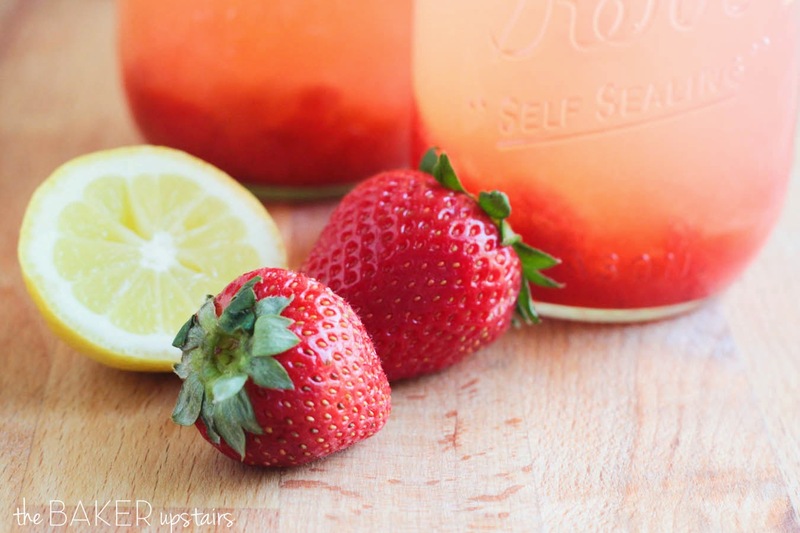 This sweet and refreshing fresh strawberry lemonade is the perfect summer drink! 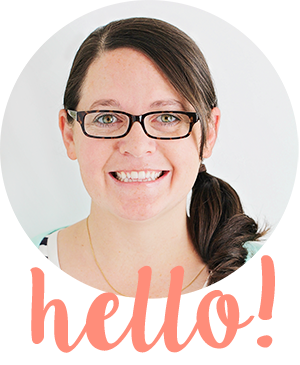 Of all the things I've posted on the blog in the last few months, I think this one might be my very favorite! 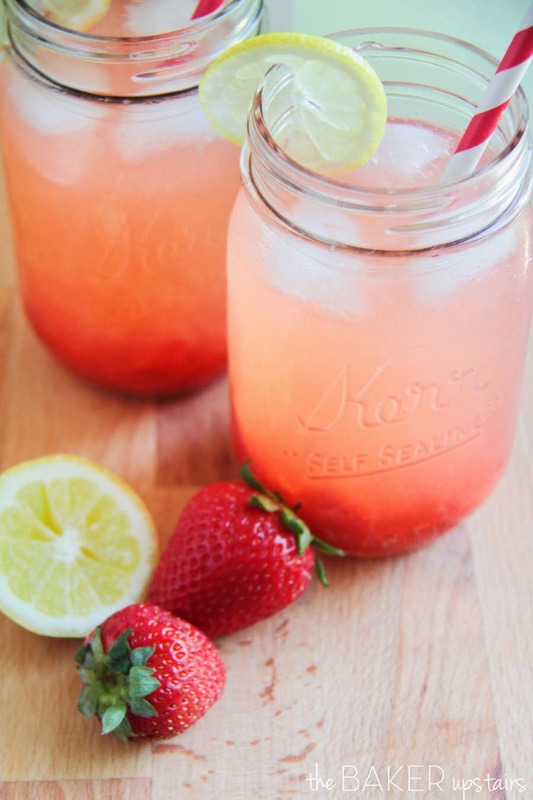 Strawberry lemonade is one of my very favorite treats in the whole world. I order it whenever I see it on a restaurant menu (even when it's outrageously expensive!) and I still can't get enough. 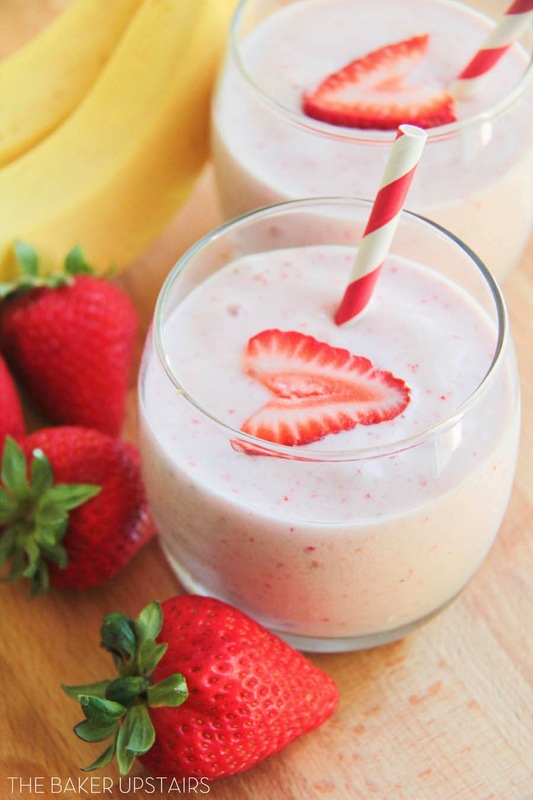 It's so refreshing and sweet, and the perfect way to cool off on a hot day. 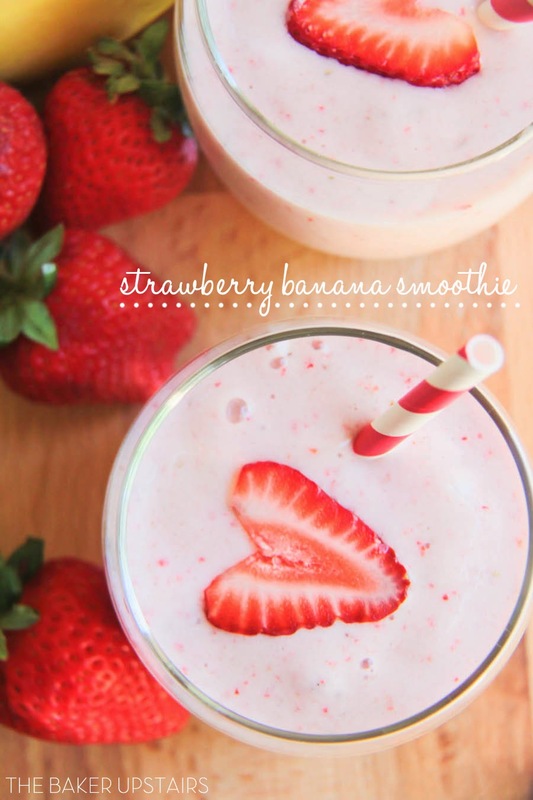 I love slurping the chunks of strawberries up through my straw and I love the contrast of tangy and sweet. Yum! This homemade version is as good as any I've had at a restaurant, but it's so incredibly easy to make at home! I mentioned earlier this week that I've been making batch after batch of my new favorite strawberry sauce, and this drink is the reason why! I do recognize that it's a super unconventional way to make lemonade, but it seriously couldn't be easier, and I love making it this way. Give it a try and I think you'll love it too! Cut the ends off the lemons, then cut each lemon into sixths or eighths. Add the lemons, the sugar, and 3 cups water to a blender, and pulse 6-8 times, or until the lemons are broken up but not smashed to bits. Pour the mixture into a pitcher through a fine mesh strainer. Add the remaining water and ice. To serve, add some ice to the bottom of a glass. 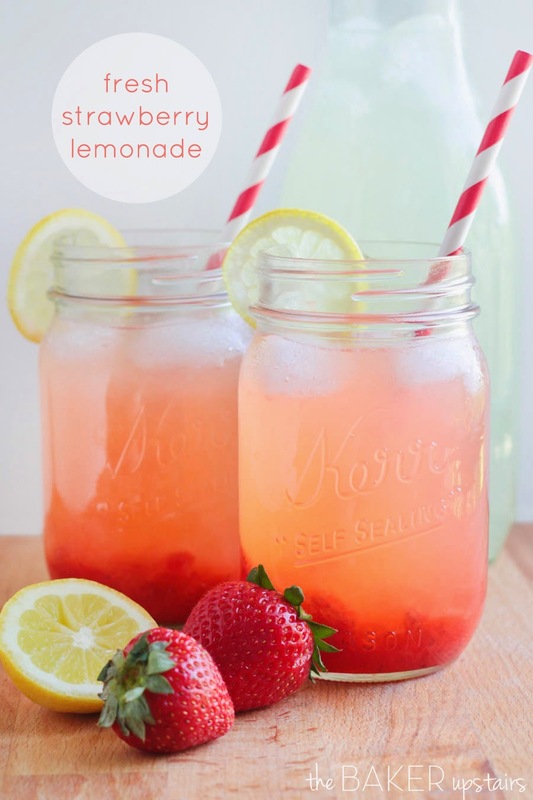 Top with 2 tablespoons strawberry sauce, then fill with lemonade. Enjoy! 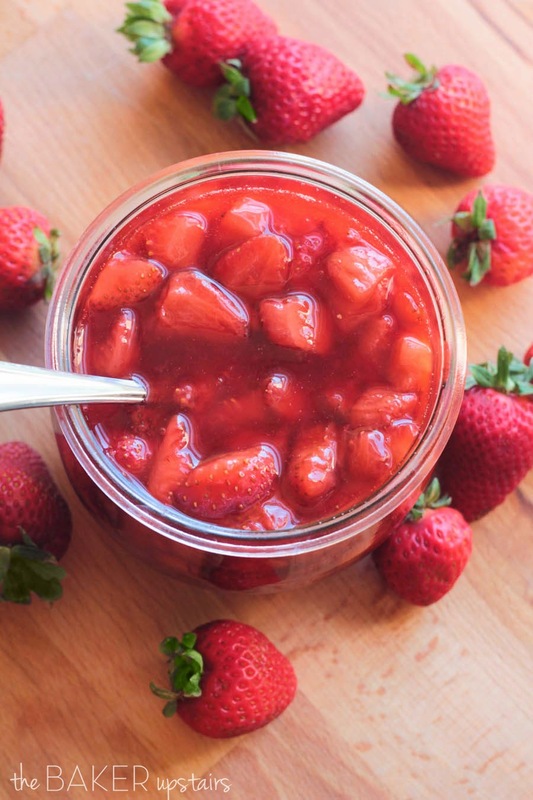 This fresh strawberry sauce is pretty much just the essence of summer… it's so fresh and delicious and full of juicy berries! I made this for the first time a few weeks ago and I've been looking for any excuse to make it again and again! This sauce is super easy to make and ready in just a few minutes, and is super versatile, too! 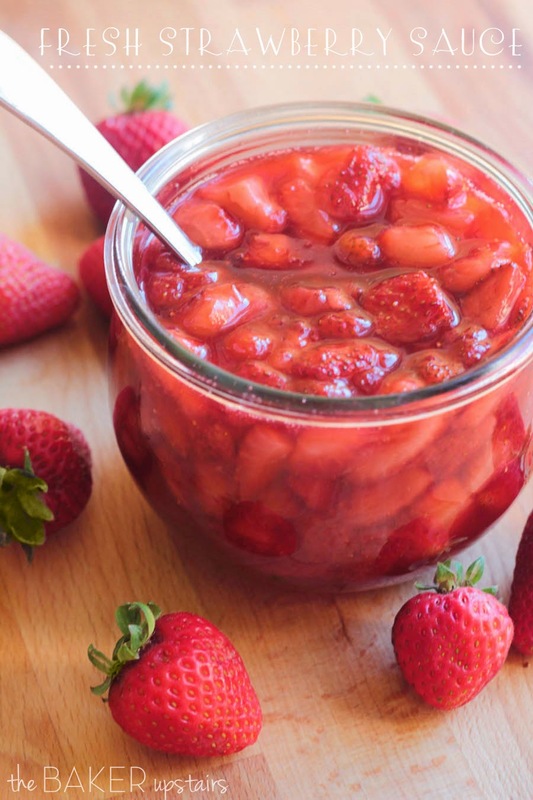 It works great as a syrup for waffles or pancakes or as a topping for ice cream or yogurt. And I can't wait to share with you my favorite way to eat it later in the week… stay tuned! For now, it's pretty safe to assume that I'll be sneaking spoonfuls of this delicious sauce any chance I get! 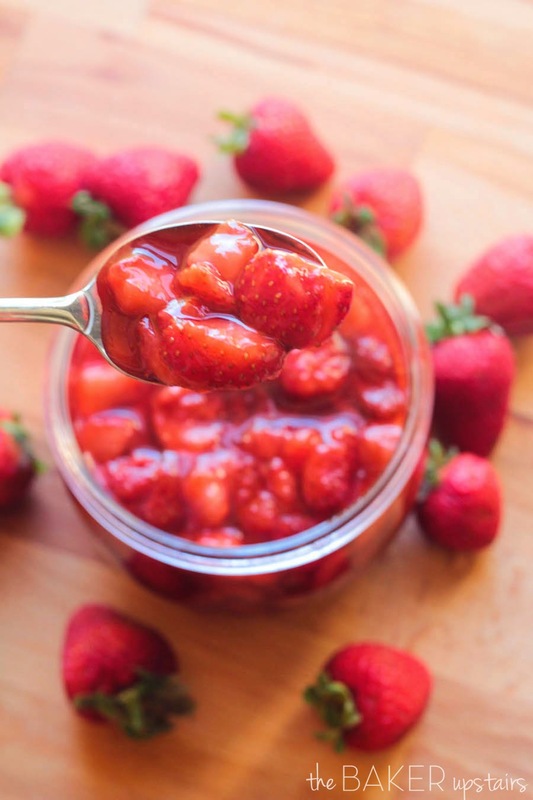 Add the strawberries, sugar, and lemon juice to a medium pot and stir well. Bring the mixture to a simmer over medium heat. While the mixture is heating, dissolve the corn starch in the water and whisk until smooth. Add the corn starch mixture to the strawberry mixture and stir well. Let simmer 2-3 minutes, or until slightly thickened. Remove and let cool slightly before serving. Store in the refrigerator. I have such a yummy dinner to share with you today! 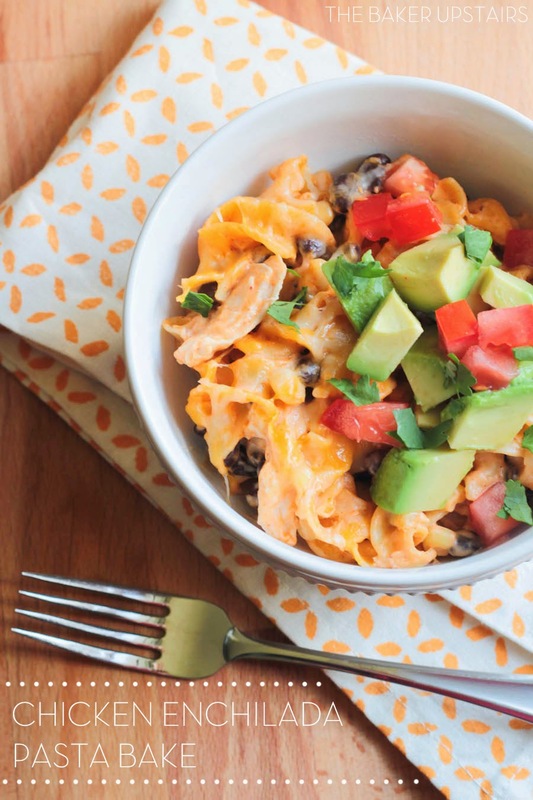 I can never get enough mexican/southwest food, and this pasta bake was awesome! I made it for dinner a few nights ago when Geoff was working late, and the girls loved it. Abby actually ate two servings, which is super unusual for her, and kept asking for more "spicy macaroni." (For the record, it's really not spicy at all, but Abby thinks anything that doesn't taste like paste is spicy.) I ate mine with fresh tomatoes and avocado on top, and it was so good! 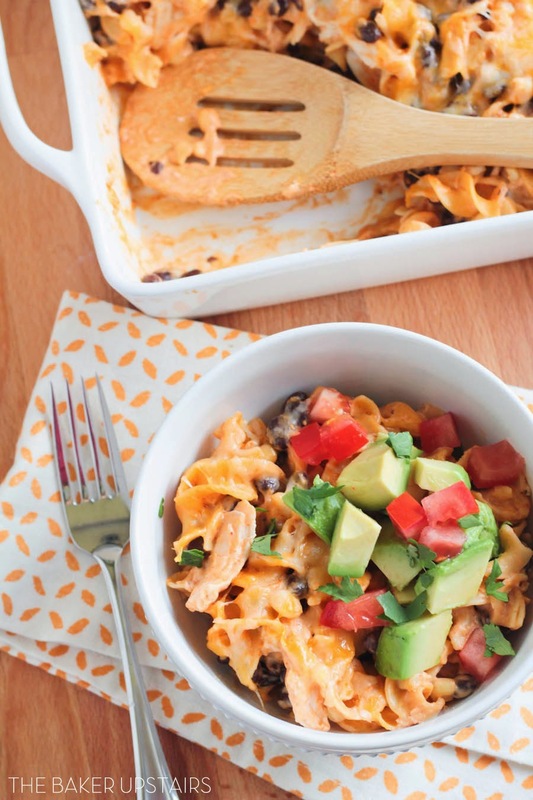 It's a delicious cheesy enchilada sauce tossed with shredded cooked chicken, egg noodles, corn, and black beans, then baked with a little cheese sprinkled on top. 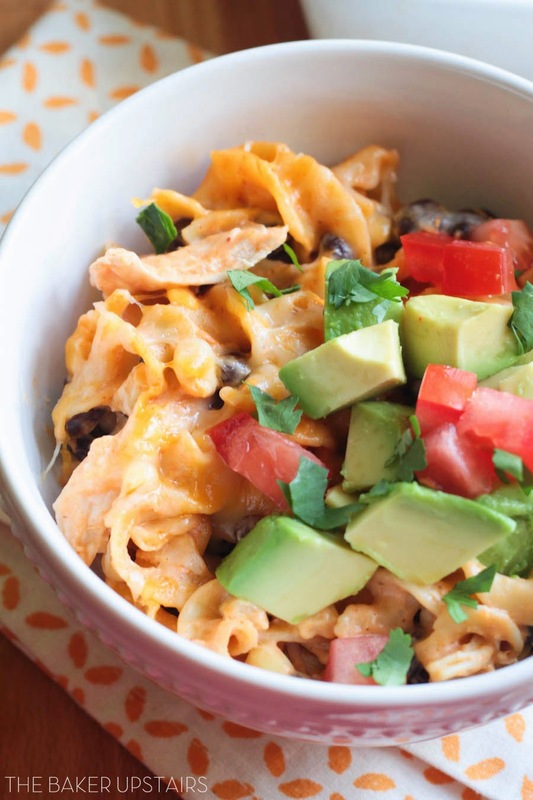 The best part is that it's super easy to make and ready in about 30 minutes. Total dinner win! 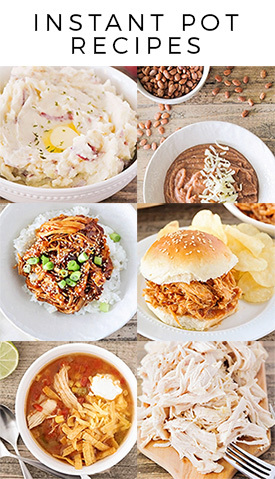 I seriously can't believe how fast and easy this was to make… I can't wait to experiment with it a little and try some new flavor combos (like green enchilada sauce and pepper jack cheese). This is definitely a great one to have on hand for busy nights! Preheat the oven to 350. Cook the pasta according to the package directions and set aside. While the pasta is cooking, add the enchilada sauce, cream cheese, and greek yogurt to a large saucepan and heat over medium heat, stirring frequently, until the cream cheese is melted and the sauce is smooth. Add one cup of shredded cheese and stir until combined. Add the chicken, corn, and black beans, and cook until heated through. 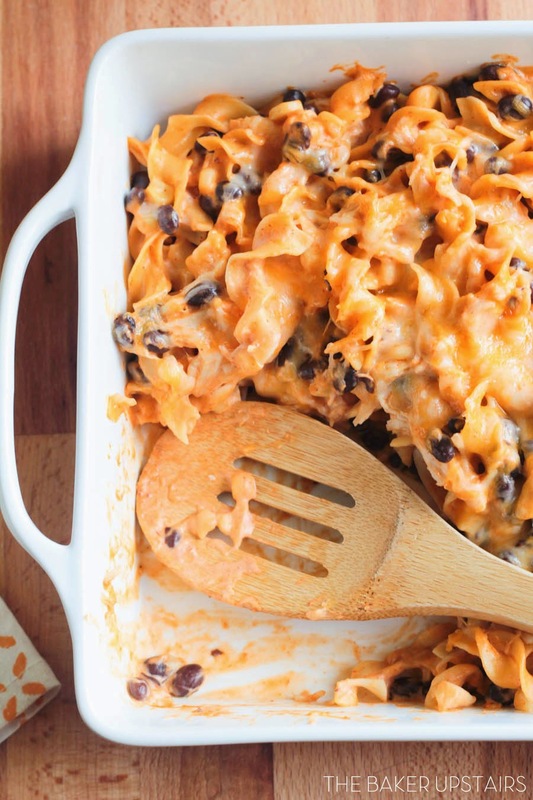 Toss the pasta with the sauce and spread in a 9 x 9 baking dish. 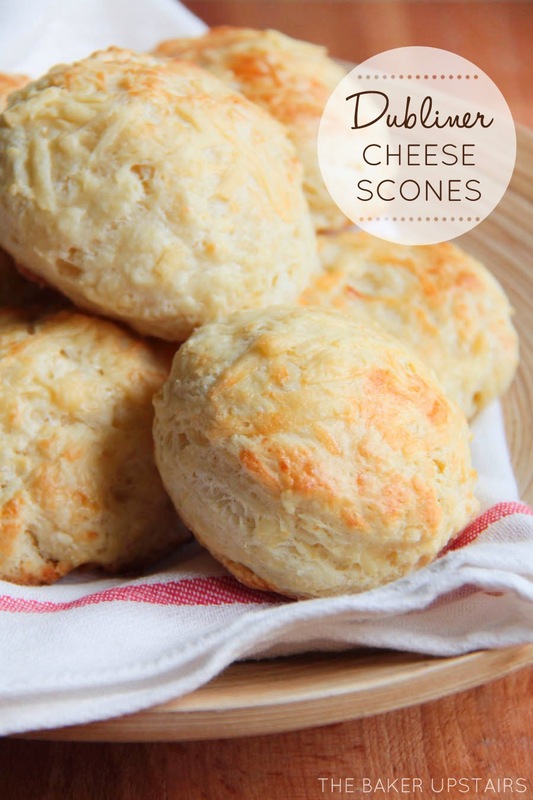 Top with remaining cheese and bake 10-15 minutes, or until the cheese is melted. This last weekend was my in-laws' 50th wedding anniversary! My husband is the youngest of eight kids, and it was fun to have all his siblings together this weekend to celebrate. We held an open house for my in-laws on Saturday and I offered (probably stupidly!) to do a dessert buffet. Let's just say it involved a crazy amount of baking over a short period of time… yikes! All things considered, though, everything turned out really well and the food was delicious. I'm excited to share some of the recipes I made over the next few days. 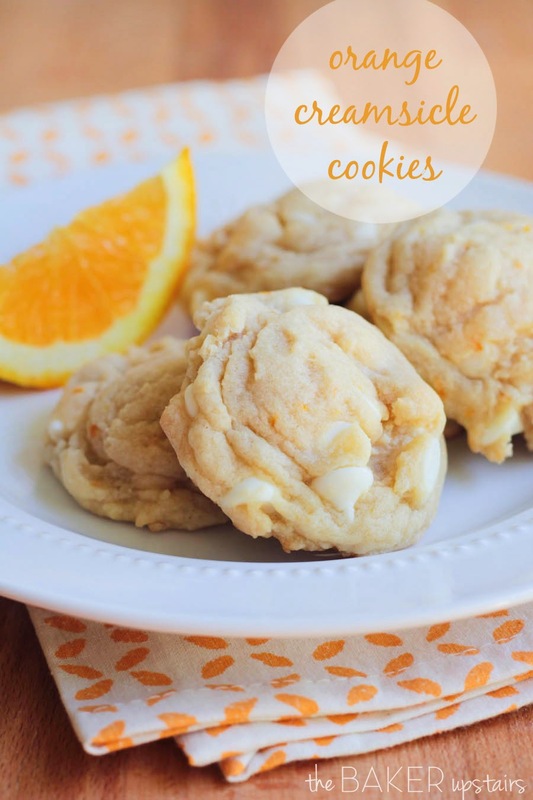 I've made these orange creamsicle cookies before, but it's been forever and I decided they needed a new post with some new pictures. These cookies are so soft and flavorful! Geoff and I agreed that they taste just like a creamsicle. I love the contrast of the orange zest with the white chocolate chips. Yum! Preheat the oven to 375. Line two baking sheets with parchment or spray with cooking spray. In a large bowl or the bowl of a stand mixer, beat together the butter, sugar, and brown sugar until light and fluffy. Add the egg, vanilla, orange extract, and orange zest, and mix until combined. Add the flour, baking soda, and salt, and mix until just combined. Fold in the chocolate chips. Drop rounded scoops of dough onto the prepared pans (I used a cookie scoop to make them more uniform). Bake 8-10 minutes, or until lightly browned on the bottom. These rolls are fantastic! If you're not familiar with the Lion House, it's a historic building in Salt Lake City that is now a venue for special occasions and meetings, and has a restaurant in the basement. Their food is delicious and homey and comforting. The first time I tried these rolls was at a wedding luncheon for a good friend, and I loved every last bite! 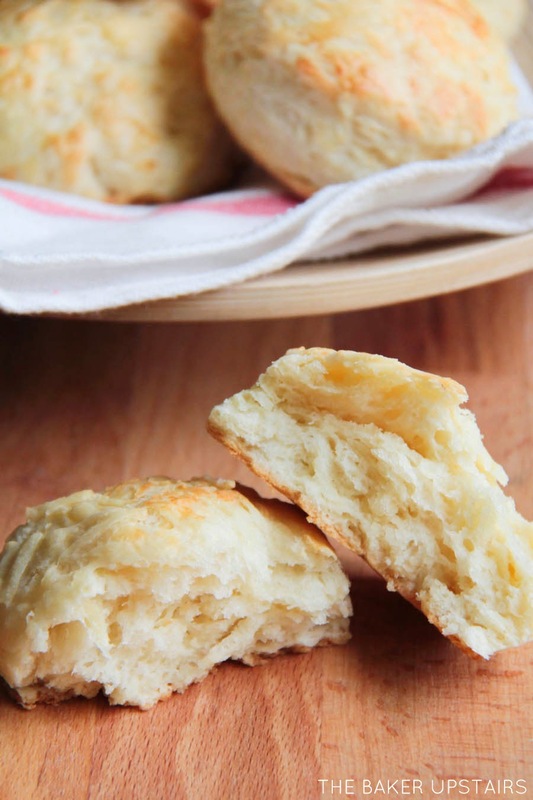 They are incredibly soft and buttery and flavorful, and just all around perfect. 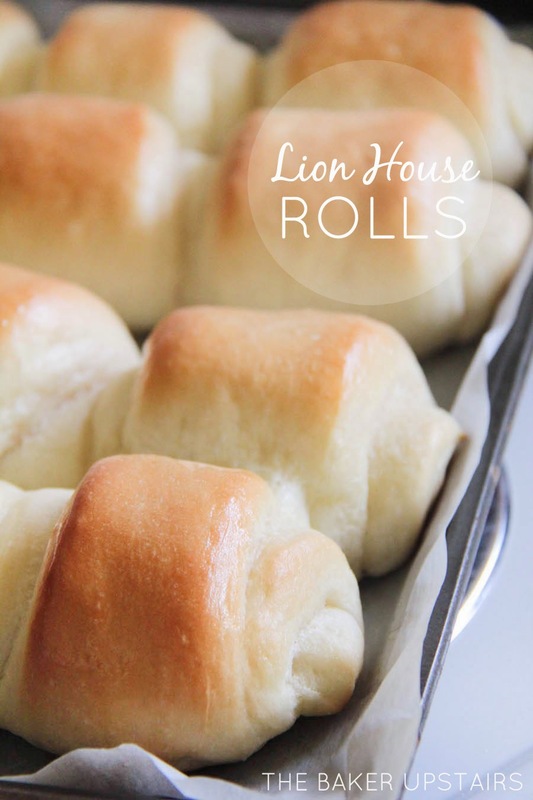 Because I couldn't stop raving about these rolls, my aunt gave me the Lion House cookbook for Christmas the year Geoff and I were married, and I was thrilled to find the roll recipe inside. Unfortunately, I was so intimidated by the thought of baking with yeast at the time that I never got around to making them for myself… until now! I was looking through my cookbook collection a few nights ago and decided there was no time like the present to make a batch of these lovelies. The rolls were actually relatively easy to make, and turned out beautifully on the first try. I think the key with any bread is to not over-flour the dough. That's a mistake I made when I first started baking with yeast, and it led to a lot of disappointing results. Just add a little at a time until the dough is just firm enough to be manageable but still soft and slightly sticky. 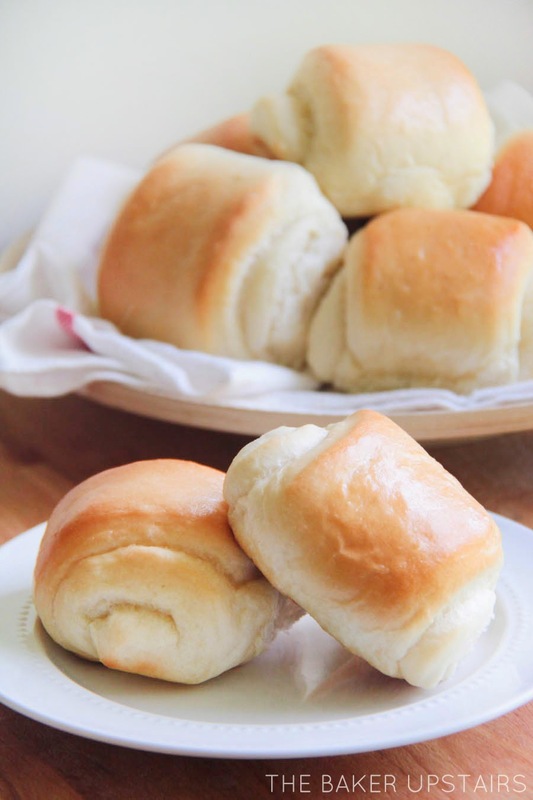 These rolls are delicious and perfect for any occasion! In a large bowl or the bowl of a stand mixer, dissolve the dry milk in the warm water. Sprinkle the yeast and a pinch of sugar over the top, and stir to combine. Let sit 5-10 minutes, or until the yeast is bubbling. Add the sugar, salt, butter, egg, and 2 cups of flour, and mix to combine. Add another 2 cups of flour and mix until combined. Add the remaining flour, 1/4 cup at a time, and knead until a soft and smooth dough forms. The dough should be soft and slightly tacky. Place the dough in a lightly oiled bowl and let rise until doubled, about 1 hour. After the dough has risen, punch it down. Roll it out into a large rectangle that is 8 inches tall by 18 inches wide. Brush with 2 tablespoons melted butter. Using a pizza cutter or sharp knife, cut the rectangle in half lengthwise to form two rectangles that are 4 inches by 18 inches. Cut each rectangle into nine strips that are 2 inches wide by 4 inches tall. Starting with the short end, roll each strip of dough into a spiral, and place seam side down on a lightly greased baking sheet. Repeat with remaining strips. Cover and let rise 30-60 minutes, or until doubled in size. During the last 15 minutes of rise time, preheat the oven to 375. Bake 15-18 minutes, or until lightly browned. Remove from oven and brush with melted butter.